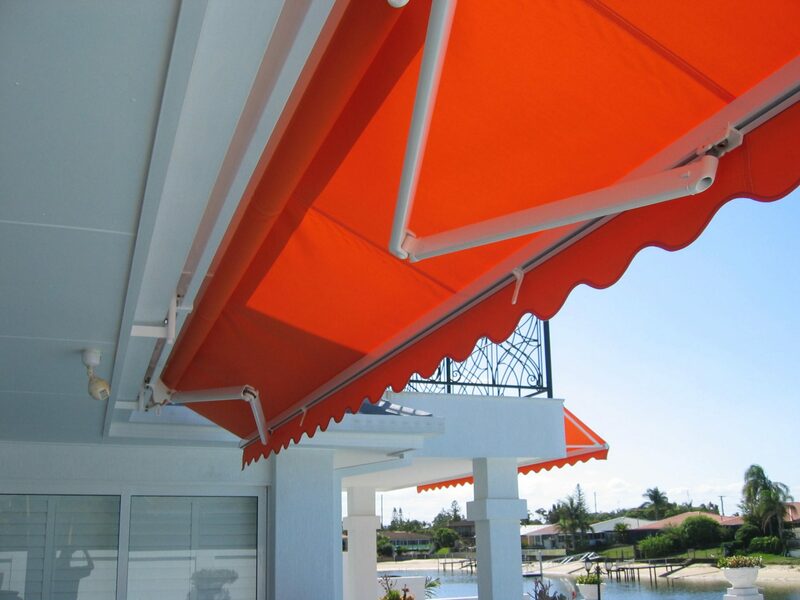 One of our most popular awnings, our Folding Arm Awnings act to extend your outdoor living area. The awning can then be extended or retracted by either a manual crank drive, or motorised – either way the awning can be fully extended or only partially extended. Available for a variety of uses, they can be up manufactured up to 18m wide and3.6m projection. Optional extras include wind and sun sensors for peace of mind when you are not home. Available in a range of fabric including Draylon, Canvas, Vinyl or Mesh. In most instances, Drayon is preferred for it’s durable qualities.